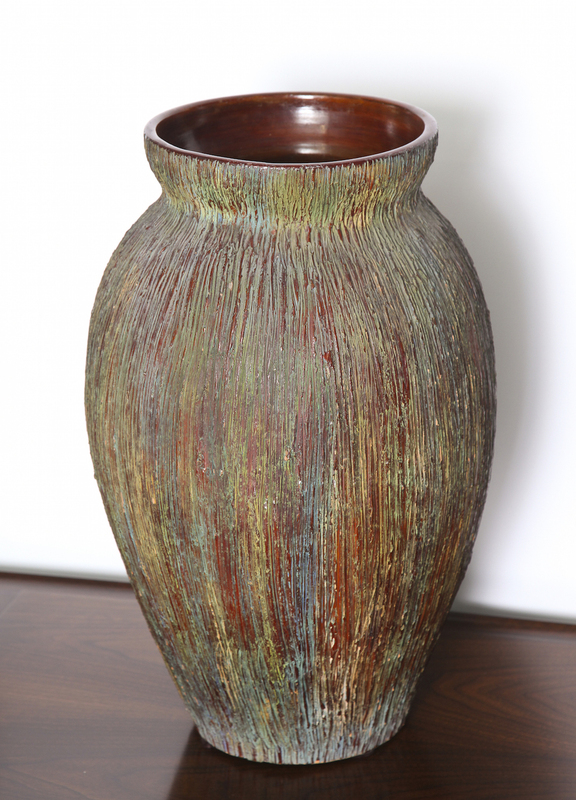 Handmade earthenware vase with great scale. 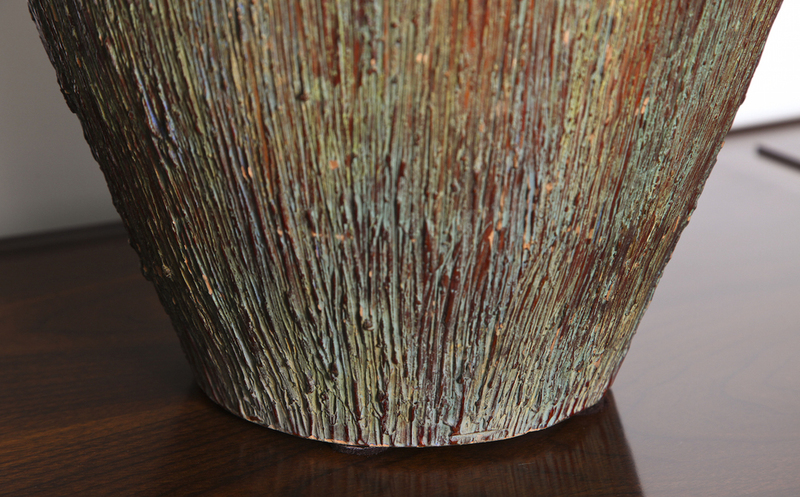 Roughly textured throughout entire exterior with multi-colored glazes. Interior is smooth with a brown glaze. Signed on the underside with manufacturer's marks.